All you need is love at Cheeky Win casino! 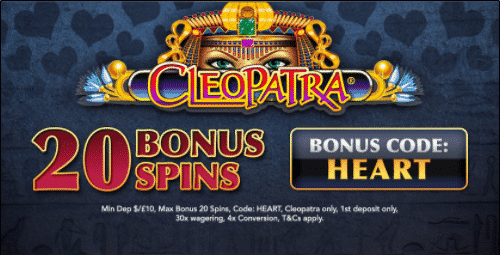 Create an account during Valentine’s Day, make your first deposit of at least £10, and receive 20 Spins on Cleopatra slot game using the promotional code HEART. 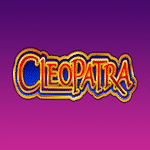 In order to be able to withdraw your funds, wager your bonus and deposit amount 30 times. Activate this offer by contacting the support team. Let cupid do his work and focus on winning incredible prizes!